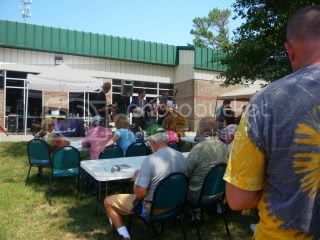 The 23rd annual Chincoteague Blueberry Festival held last week-end was the largest fine arts and crafts event on the Eastern shore of Virginia with exhibitors from 10 states including local artists. 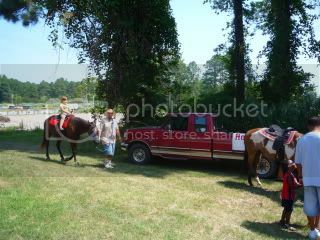 The net profits from blueberry sales were donated to the Chincoteague Police Department. The event hosted live music, pony rides and face painting for children, and a variety of blueberry confections. 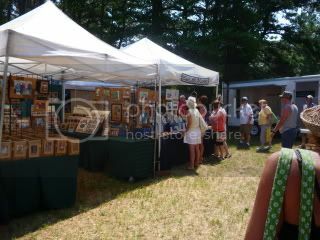 The vendors offered a variety of wares including oil paintings, photography, woodcarving, jewelry, quilts, clothing, wind chimes, and much more. Be sure to catch it next year. 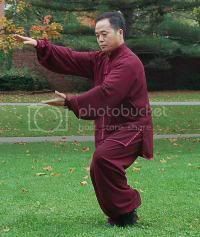 Tai Chi is a system of circular, flowing movements based on martial arts. It used by people of all ages as a graceful, meditative exercise. Regular practice of this ancient art promotes health, strength, confidence, longevity, and peace of mind. It has been noted that T’ai Chi practitioners live 30% longer than non-practitioner. Tai Chi has been shown to increase balance control that results in a reduction of falls, especially among the elderly. Studies show it is effective for arthritis and pain, osteoporosis, strength and flexibility. Research has also found Tai Chi to be equivalent to moderate aerobic exercise, but it is much easier on the body. The health benefits of practicing tai chi are many. Tai Chi can reduce cholesterol and blood pressure, and can also improve cardiovascular functioning and the capacity of the immune system. Master Jingshan Tang is President and founder of the Oriental Fitness Institute, LLC located in Philadelphia. In addition to offering a broad range of classes and programs at the Fitness Institute, Master Tang is active throughout the Philadelphia/New Jersey region, delivering specialized workshops and demonstrations. Master Tang is a phenomenal teacher known for his sense of humor, patience with children, and in providing the expertise for adults who are serious in expanding their skills. Reflexology is a natural healing technique that works on specific pressure points on the feet. This technique is based on the premise that reflex areas on the feet correspond with all body parts. The feet are like a microcosmic map of the bodys organs and glands. So by applying pressure to relevant reflex points, one can stimulate good health to the entire body. It can help improve relaxation, promote peaceful sleep, eliminate toxins, increase energy and perk up circulation. I recently had a session with Catherine Carter. After ten minutes of receiving gentle pressure on points of my left foot, I felt relaxed and peaceful. At the end of the session I felt completely rejuvenated.